As worship unfolded in St. Paul’s Memorial Church, a stone’s throw away a parade of torch-wielding white nationalists marched on the grounds of the University of Virginia. Two by two, in formation, disciplined and organized they took over the famed lawn. Photos of that night reveal menacing faces aglow, mouths open in chants of “Blood and soil” and “You will not replace us” and “Jews will not replace us.” The mostly young, white men surrounded a small group of students, caught unaware, who locked arms around a statue of Thomas Jefferson enduring threats, flames and chemicals until law enforcement eventually intervened. The chaos anticipated for Saturday began on Friday night, a frightening foreshadowing of what would be revealed in the light of day. 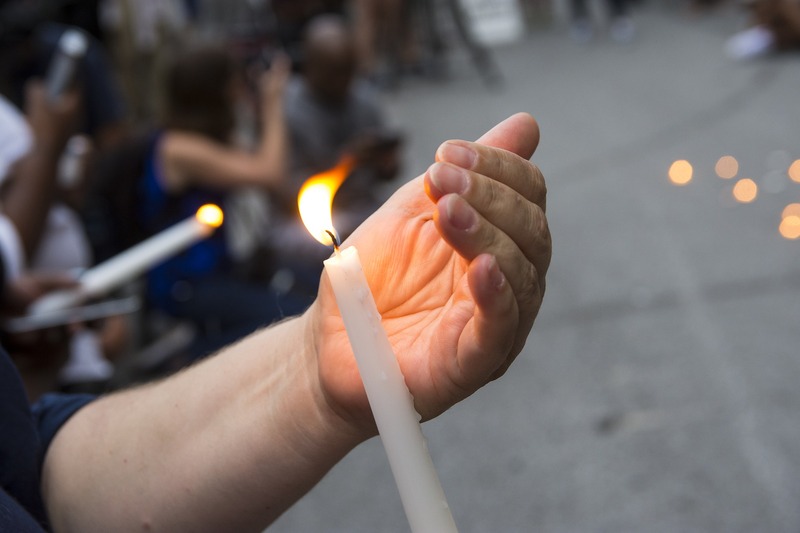 At dawn faith leaders and counter-protesters gathered again to worship, making ready with song and prayer, preaching and Scripture to face with non-violence the flames of hate that had been fanned for months. We marched that morning, armed not with torches, clubs or assault rifles, but with repeated rounds of “This Little Light of Mine.” The contrast laughable, what are stoles and collars, singing and solidarity, in the face of organized, determined hate? After the march to the park near where Lee sits up on his high horse, we fanned out, some to the edges of the makeshift barriers put up by the police and some to the Methodist church across from them. We kept singing, “This Little Light of Mine” as the white supremacists emerged from white vans and ran grunting toward the shadow of that Lost Cause statue. They yelled, “F*** You!” We sang louder. Their anger and hate radiated as they chanted “F*** you faggots!” to priests, counter-protesters, and pastors. Helicopters hovered overhead. Counter-protesters of all stripes congregated. Law enforcement was everywhere and nowhere. We got updates about events as we lived them and as friends watching on television sent texts. “They have called an unlawful assembly.” The pastor in charge at the Methodist church alerted us with a bull horn. “They have called an unlawful assembly.” My friend in South Carolina texted me simultaneously. “They have called an unlawful assembly.” Our colleagues who’d been out in the streets informed us as the violence around us escalated and people with bloody faces and burning eyes stumbled in for help. The chaos expanded. Our little lights attempted to shine through prayer and the practical. We toted water, comforted the suffering, tried to smother the fires of hate being lit on every corner. This quiet college town looked like images of war zones and soon turned deadly. That night there would be a mandatory curfew. No more torches. No more chants. Darkness covered deserted streets, and no one knew how we would move forward in the morning. It has been almost a year since that horrendous weekend. Our group of faith leaders keeps meeting, praying, trying to discern how to help heal our city, one another, ourselves. There have been book studies among our members and in our member congregations. A retreat helped us clarify our mission of combating racism in ourselves and in our community. We’ve worked on implicit bias and written letters to the paper in response to legal actions taken against counter protesters. Some of our group have taken trips to Richmond and Monticello to learn about the depth, breadth and impact of slavery in our own backyard. Perhaps most importantly, we are committed to staying around the table together, even when conversations are painful. Despite all these efforts, often it still feels like we are in the dark. Marching and singing is easier than addressing the racism in our systems and in our hearts. The light I see is often distant and dim, but nonetheless present and real. It reveals small safe spaces, intermittent insights, flashes of justice, the next few steps ahead on the way. While I wish for a flood lamp that sends evil packing, the candle on the lampstand must be enough to keep us vigilant. I must trust God’s promise that darkness cannot overwhelm the light of Christ. Therefore, thousands of candles will burn brighter than hundreds of torches. So, this little light of mine, I am going to let it shine. 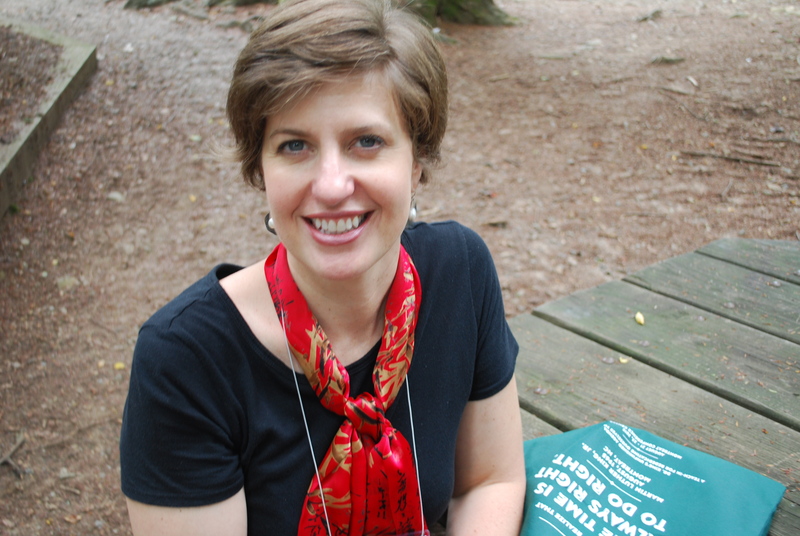 Jill Duffield was ordained a teaching elder in 1998 and served large and small Presbyterian congregations until 2015 when she became the editor/publisher ofThe Presbyterian Outlook, an independent bi-weekly publication on the Presbyterian Church (USA).